Photo: Jungle takes back quick. There are laid-back islands, and then there’s Ko Chang Noi. The northernmost island in Thailand’s section of the Andaman Sea faces straight towards Burma, its dark-sand beaches backed by simple bungalows, cashew orchards and jungle amid a formidable interior. For those who don’t mind roughing it in exchange for serious relaxation, this is a special place. He’s one of many middle-aged and older Europeans who return each year, often to the very same bungalows, to relish the sort of atmosphere that existed on islands like Ko Samui back in the 1970s and ‘80s. They come mainly for the cheap huts and community spirit rather than the beaches, which lack the sparkle of many Thai islands but are fine for a dip and great for sunsets. Many spend their days writing, painting, strumming a guitar or reading in a hammock. Most of the islanders’ income comes from agriculture and fishing rather than the tourism that disappears when a notably intense monsoon billows through from May to October. Land is passed down over generations, and it’s common for the owner of one resort to be cousins with the owner of another one down the beach. Bungalows fill up around Western New Year, when organised soccer matches and live bands overtake a central stretch of Ao Yai. The island feels like a self-governing domain, overseen by one policeman who resides on the mainland, we were told. A small Thai Navy base is found on the northwest coast but doesn’t detract from the low-key atmosphere in the least. Apart from the soldiers who occasionally jog on the beaches, just about everyone—local or traveller, friend or stranger—always says “hello” in passing. Chang Noi’s sustainable tourism is a world away from the money-grabbing attitude and overdevelopment that blights busier Thai islands, like Ko Tao and Ko Lipe. Those seeking a little action can go fishing in a longtail boat, paddle a kayak or join in a beach volleyball game at sunset. Divers can link up with Aladdin Dive Safari for a live-aboard voyage to Burma’s Mergui Archipelago or a number of Thai dive sites. On the northern stretch of Ao Yai, Om Tao offers yoga and qui gong retreats. Next door, the owner of Bar La organises snorkelling and camping trips to Ko Kum, part of Laem Son National Marine Park to the south. On a hike to the island’s far southern jungle or northern coves you might spot hornbills and many other types of birds along with all sorts of butterflies, monkeys, snakes, frogs and flowers. Arrive in March to watch the islanders harvest the cashews that this part of Thailand is known for. No actual pachyderms roam the island, which we’ve heard was named after its shape that vaguely resembles a resting elephant. If you like the mellow life but would prefer an island with more consistent WiFi, 24-hour power, motorbike rental and other conveniences, opt for neighbouring Ko Phayam instead. Orientation Located around 10 kilometres southwest of Ranong town and only a few kilometres south of the nearest Burmese island, “little Chang” is not exactly small, coming in at 10 kilometres from top to bottom with a width of four kilometres at most points. In the south, a sizeable jungle-clad mountain is protected as a national forest, while rubber and cashew farms blanket most of the interior. See Exploring Ko Chang Noi on foot for a lay of the land. This is a rustic destination with no ATMs, banks or 7-elevens, and only a small public medical clinic located east of the village around the centre of the island. Foreign currency exchange and cash advances on credit cards are available at Starlight Travel on Central Ao Yai and larger resorts like Cashew and Sawasdee. Convenience stores are found at Minimart, which is next to the temple on Central Ao Yai, and in the village. Try to bring small bills from the mainland, as business owners often have trouble changing 1,000-baht bills for small purchases. WiFi is free for customers at Minimart and a couple of cafes in the village. Our cell phone worked fine throughout Ao Yai, in the village and, surprisingly, down on Ao Siad, but we lost service north of Hornbill Bungalows on the northwest coast and throughout much of the interior. A torch is a must, and you should bring candles or battery-powered lamps if wanting to stay up past 22:00, when most of the generators are switched off. Also grab a map at one of the travel offices near the pier in Ranong before catching the boat to Chang Noi. To clarify, we’ve added the Thai word Noi (“Little”) to differentiate Ranong province’s Ko Chang from the much bigger and better-known island of the same name in Eastern Thailand. Locals refer to it simply as Ko Chang—and you should too while in the area.  Please sign up as a Travelfish member to download the Ko Chang Noi guide PDF (6.8 MB, 31 pages). Membership costs just A$35 per year (less than A$1 per week) and gives you access to over 250 PDF guides. Browse our independent reviews of places to stay in and around Ko Chang Noi. 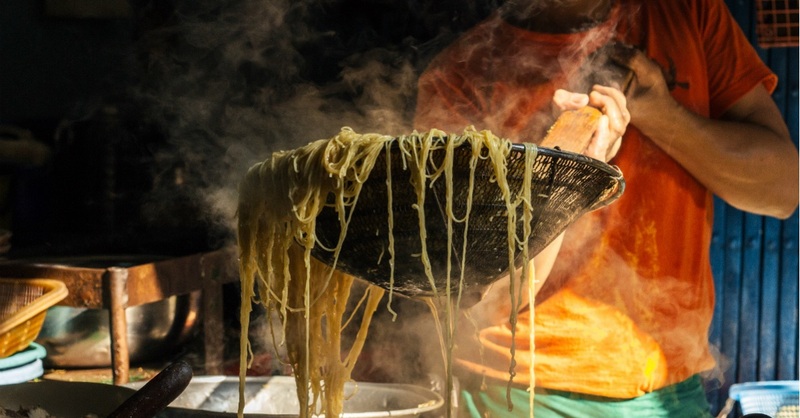 Read up on where to eat on Ko Chang Noi. Check out our listings of things to do in and around Ko Chang Noi. Read up on how to get to Ko Chang Noi, or book your transport online with 12Go Asia. Planning on riding a scooter in Ko Chang Noi? Please read this. 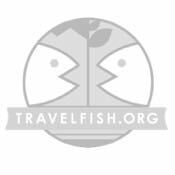 Use the above map to find specific destinations in and around Ko Chang Noi which are listed on Travelfish. Bed icons indicate a guesthouse, hostel or hotel, the knife and fork is an eatery or bar and the four-way circular thingy marks sights, attractions and other points of interest. Click on any icon for a short pop-up and a direct link to the page for that spot. If you are in the area, use the teardrop icon near the top left to show your position on the map (you'll need to allow position sharing for this last feature to work).